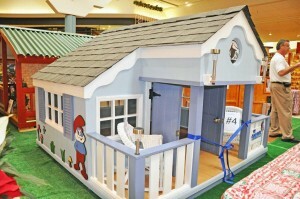 “Realtor Raise: Project Playhouse” was held recently on the Big Island, a fun event to boost home ownership in Hawaii. Hawaii Life was one of four playhouse contributors, raising thousands of dollars to support the Habitat for Humanity mission. 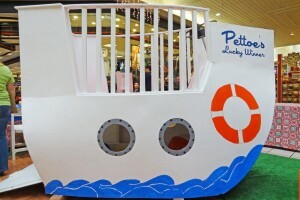 The playhouses were generously donated, including the “Life Boat” from Hawaii Life Real Estate Brokers. Wildly imaginative and solidly constructed, the playhouses were then given away to the lucky key holders. Leading up to and on the day of the event, key-chains were sold to raise money for Habitat for Humanity. The key-chains qualified the contributors to try their keys in the playhouse doors, and if they opened, they won the playhouse. To ensure that the houses were were well-built, HIBR provided strict guidelines for the builders, and sparked competition by judging the playhouses in different categories. 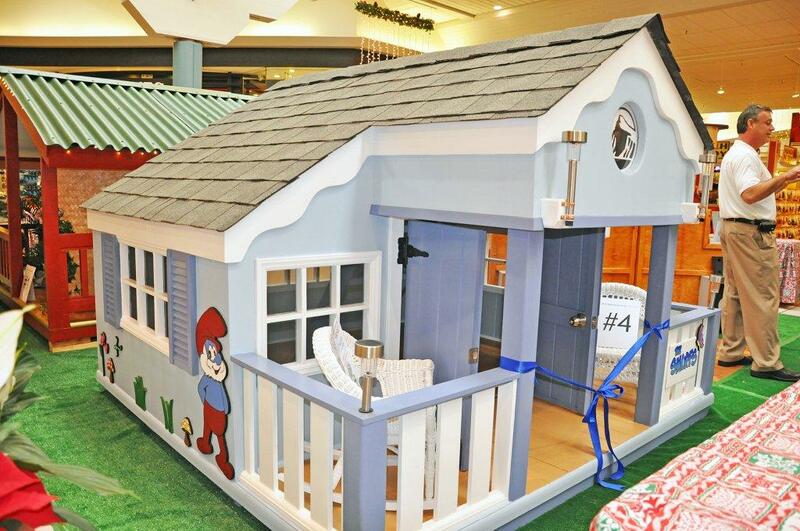 Habitat for Humanity’s President, Julie Hugo, won the Green Award for her entry, while Prudential’s Smurf House took Best Overall. Hawaii Life’s Boat Playhouse pulled out a respectable runner-up in the overall category. The playhouse recipients on November 19 were not the only winners. The event brought in over $5,000 for the Hale Aloha O Hilo Habitat for Humanity. The Playhouse concept fits in perfectly with Habitat’s mission – that everybody deserves a simple, decent place to live. The five thousand dollars will go towards the overall goal of ninety thousand that the HIBR is trying to raise. Through ongoing fundraising events they hope to reach their goal and be able to work with Habitat to build a house in East Hawaii. Habitat for Humanity is a grassroots, Christian nonprofit organization dedicated to the elimination of poverty and substandard housing worldwide. It believes that every person deserves, at least, a simple and decent place in which to live. It builds or renovates houses in partnership with families who qualify for homeownership based on three criteria: need, a willingness to partner with HFH, and an ability to repay a no-interest mortgage. Founded in 2008, Hawaii Life Real Estate Services LLC is a brokerage that offers real estate services for buyers and sellers on all of the major Hawaiian islands. Hawaiilife.com, the company’s website, offers access to the entire Hawaii MLS and provides tools for real estate searches. Hawaii Life also offers vacation rental listings. Photos courtesy John Petrella, REALTOR®. Happy Holidays to all of you who participated. What an awesome project and for a very good cause. Great article!! Thanks for writing!! Just a few small corrections… Julie Hugo is actually the Past-President of HIBR and Mealoha Kraus just got installed as the new President of HIBR. Great job, ladies!! Love the leadership and commitment to supporting our island community!! It was a great effort from many at Prudential Orchid Isle Properties. We were honored not only to receive “Best Overall” Award, “Most Creative” Award and “Peoples Choice” Award, but to have contebitued to such a worthy cause. We are proud of our effort in the project and for making up more than 10% of the total keychain sales. Having said that, not much compares to the joy on the faces of those precious little girls who won our playhouse!